Raspberry & White Chocolate Cookie Cakes. These are WONDERFUL friends! Easy too! 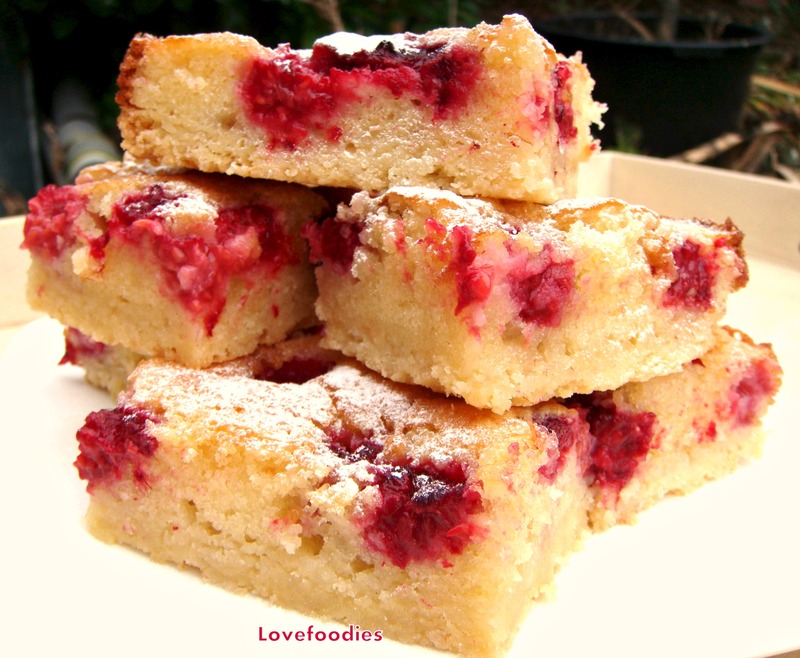 Categories: Cakes, Desserts, recipes | Tags: baking, Bars, cakes, cookies, Cooking, easy, how to make, lovefoodies, raspberry, recipes, sweet, white chocolate | Permalink. Blueberry Coconut Bars, a moist cake top sitting on a crunchy shortbread cookie base. Delicious! Categories: Cakes, Desserts, Holiday Treats, recipes | Tags: baking, Bars, blueberry, cake, coconut, cookies, Cooking, desserts, easy, how to make, lovefoodies, oven, recipes, sweet | Permalink. Toffee Nut Bars are a wonderful treat! They’re easy to make and certainly perfect with a cup of tea! Categories: Desserts, Holiday Treats, recipes | Tags: baking, Bars, coconut, Cooking, desserts, easy, how to make, ingredients, lovefoodies, Nut, oven, recipes, Sugar, sweet, Toffee | Permalink.